Lexia is dedicated to improving student learning through the use of technology. Lexia® Core5® Reading is available for the iPad®, Chromebooks, and certain Android™ tablets (contact Lexia customer support for specific information about Android device compatibility) and is the only research-validated literacy program available on tablets that provides the full functionality of Lexia’s data-driven, personalized learning program. The app provides students an explicit, systematic, structured and individualized approach to developing foundational reading proficiency. Detailed performance data is reflected in real time in the myLexia reporting interface. 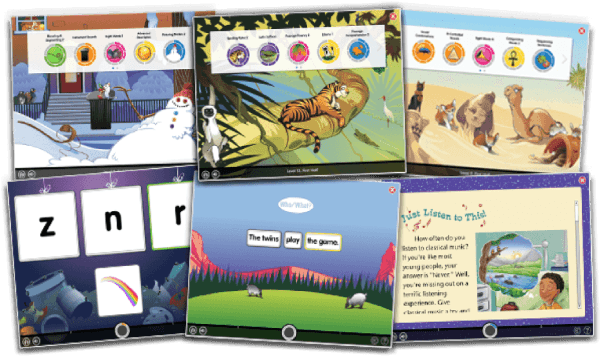 In addition, Lexia® RAPID™ Assessment is available for the iPad, and the myLexia App for Educators is available for the iPhone®, iPad, iPod® touch, and Apple Watch. Access to Lexia Lessons, Lexia Skill Builders, and Achievement Certificates, with the ability to track printing and emailing and "mark as delivered." Educators can oversee students’ reading progress anytime, anywhere using the award-winning myLexia App for the Apple Watch to access real-time data from Lexia’s personalized learning program. At the school and district level, principals and superintendents viewing the myLexia App for Apple Watch can see students’ probability of reaching grade-level benchmarks by class or by grade. With this information on their wrist, administrators can quickly detect performance trends and deploy resources accordingly.